Yesterday, George Koutsakis at Forbes first reported that Hibiki 17 would no longer be on sale starting this September. 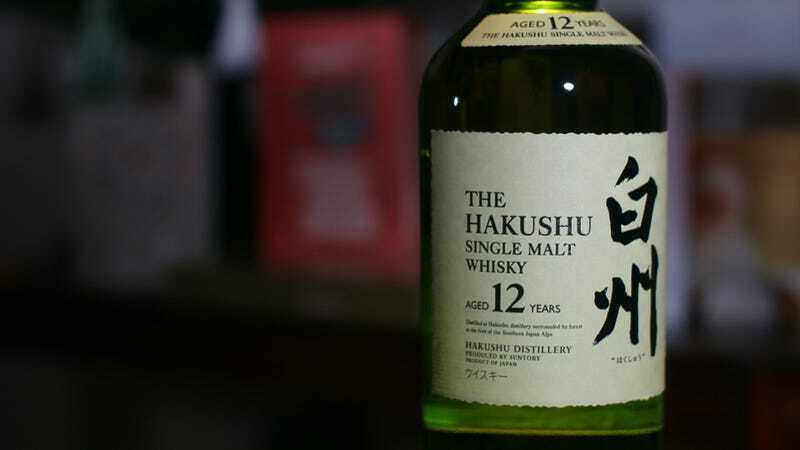 Today, according to IT Media, Suntory made it official, adding that sales of Hakushu 12 are ending next month. These are not the first Japanese whisky bottlings with age statements to no longer be offered. They probably won’t be the last, either. One of the great things about writing a book on Japanese whisky is that you have to drink it for research! However, as someone who’s also a customer, it’s depressing to see whiskies you love to vanish from shelves. Hibiki 17 is one of my favorites, striking a terrific balance between flavor, aroma, quality and price. It’s also what Bill Murray drank in Lost in Translation, for whatever that’s worth. In 2014, Japan experienced a domestic whisky boom thanks to a TV drama about Nikka’s founder and father of Japanese whisky Masataka Taketsuru. Since Taketsuru also helped set up the Yamazaki Distillery and later established Yoichi, the boom caused Nikka and Suntory whiskies to fly off the shelves. This came as Japanese whisky was increasingly recognized globally for its quality, being hailed as world class. It was a perfect storm, and for a brief period, Japanese whisky makers must have been thrilled. Then, reality set in. All of Nikka’s single malts with age statements vanished. The Yoichi and Miyagikyo single malts were revamped and only no age statement versions were released. Not listing an age statement allows whisky makers more freedom in how they put a release together because they can use a wider range of whiskies. Even without the age statement, the youngest whisky in those single malts could be at least three years old, but there are also older whiskies to balance things out. Those older whiskies are vanishing. The reason, of course, is that ten to fifteen years before that people weren’t drinking much Japanese tipple. During the early 2000s, the Japanese whisky business was bottoming out after decades of declining sales. It was a knock on effect: whisky wasn’t selling, so production slowed and less spirit was put in wood to mature. The result was less old whisky. With the current demand, the only choice is for whisky makers to halt sales. Unlike gin or vodka, whisky-making requires maturation, so it will be years until certainly releases become widely available again. No doubt, this is one reason why in the meantime Japanese distillers like Nikka have increasingly been releasing clear spirits. In the meantime, Japanese whisky prices have been shooting up, as Nikkei pointed out earlier this month. There have been positives. For example, Nikka’s no-age-statement Yoichi and Miyagikyo single malts are not only excellent but affordable. Well, at least right now. As of this minute. Known for its ability to manage casks and stock, Suntory seemed like it would fare better against the onslaught of new Japanese whisky customers, which continued to grow around the world. I’ve heard that Suntory is holding stock for the Olympics. But don’t expect the draught to end anytime soon. In 2016, Suntory CEO Takeshi Niinami said Japanese whisky shortages might last as long as ten years. Nikka, however, is bound to have a harder time, because the 2014 boom really cleaned out their maturation cellars. Since Nikka fires its coal-powered Yoichi pot stills by hand, increasing production is difficult. It could take Nikka even longer to recover from this sudden popularity spike. According to IT Media, Suntory is planning on increasing production capacity, including expanding its maturation abilities. It’s TBA as to when Hakushu 12 and Hibiki 17 will return. You have until September to snag any remaining bottles. Stock up now.